Utah’s State Tax Commission updated their sales and use tax publication as to what constitutes nexus in the state. The update includes the amendment to the definition of nexus. To have nexus in Utah, a business has established physical or economic presence in the state or is related to a business with a physical presence in the state. The sales and use tax is a transaction tax, which means that the transaction is the one being taxed rather than the actual goods and/or services. The tax is also that of a trust fund, and the seller is responsible for holding onto it until it is paid to the Tax Commission. The sales tax is imposed on the following items: retail sales and leases of tangible personal property, electronically transferred products, and certain services. The use tax is imposed on the same previously mentioned items. A buyer who originally did not pay the sales tax will be responsible for the use tax if they are the final consumer. Physical presence is established by having any property (offices, warehouses, buildings, etc.) or storing goods or inventory in Utah. Soliciting orders in Utah also establishes physical presence, as well as the delivery of property by any means other than common carriers or U.S. mail. Leasing or servicing property in the state of Utah also qualifies under physical presence. Economic presence is established if the retailer had more than $100,000 of sales or if it incurred more than 200 sales transactions within the state in a given year. Sellers with more than 10 percent interest in a related seller also may have nexus. All sellers who establish presence in Utah must have a Utah Sales Tax License. Once registered for the sales tax license, the seller has the ability to charge and collect Utah sales tax and remit it to Utah. With the recent changes to nexus in the post-Wayfair SCOTUS decision, companies are advised to evaluate their footprint in Utah as well as all US states. Economic thresholds could qualify a business for establishing nexus despite no physical presence in a state. Look for planning opportunities and exemptions that might be applicable to your company. When in doubt, consult a qualified tax professional who can best research your situation, compare to the updated state regulations, and advise your business in a manner that will get your company in tax compliance. Allyn’s tax team is staffed with seasoned tax professionals experienced in all aspects of Federal, multi-state, local tax compliance as well as consulting for large US and global corporations. We use that experience to your advantage. 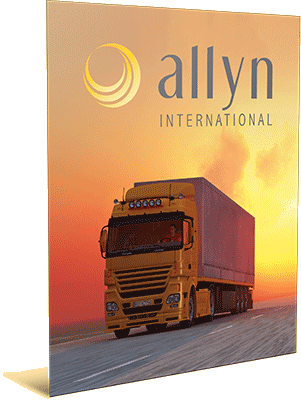 Allyn files state and local sales and use tax returns in every US taxing jurisdiction. We routinely conduct nexus reviews in all US states for companies and advise clients with proactive measures to improve their tax compliance. Allyn can register businesses in the states at the Secretary of State level as well as with the Department of Revenue and file your company’s sales and use tax returns. We can manage your tax compliance, create a solid tax process, and provide audit defense for your company.